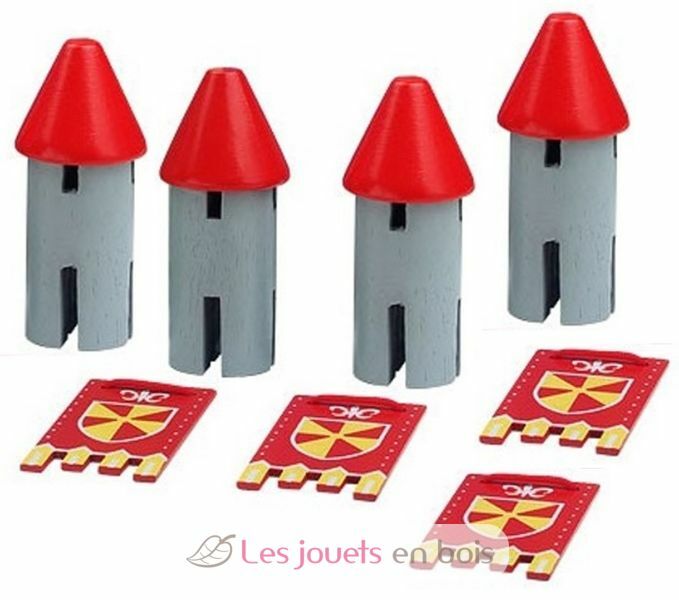 4 red turrets and 4 blazons. An ideal gift for a young knight who plays during hours with his castle. a toy out of wooden of the mark the Toy Van.